Miss World Argentina 2015 is a STUNNER.!!!! 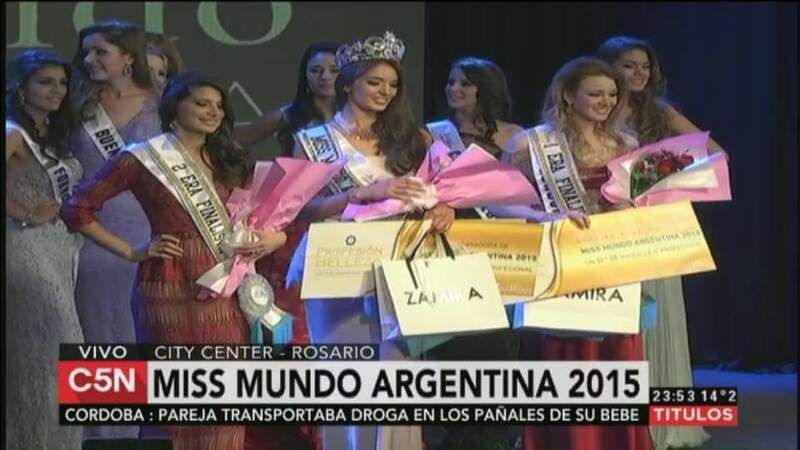 Daniela Miron won the crown of Miss Mundo Argentina 2015, Miss World Argentina 2015. This 22 year old beauty represented Mendoza and defeated 19 other contestants to claim the title and right to represent her country at Miss World 2015 Pageant. Miss World 2015 will take place on 19th December in Sanya, China. Daniela also won the Beauty with the Purpose award at the pageant. Daniela has a degree in Business Administration from University of Mendoza & She lives in San Rafael. Beauty with a Purpose: Daniela Miron – Miss Mendoza. Miss Mundo Argentina 2015 ~ Daniela Miron – Miss Mendoza. First Runner Up ~ Helena Zuiani – Miss Cordoba.